For a long time, I had that dream too but was just too afraid to pursue it. I was absolutely miserable from the stress of my full-time job and awful commute and can honestly say that I hated my life. My health, relationships, and happiness were suffering and I was in a really dark place mentally. 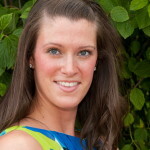 In January 2013, I finally took a leap of faith and quit my office job to create my own online business. Fast forward four years later, and I’m working from home managing my second online business (my first online business is my freelance writing/marketing business and my second is this blog that I started in January 2015) while being a stay-at-home Mom to our 2-year-old daughter and 3-month-old son and couldn’t feel happier or more at peace with where I am. I am 100% in charge of my schedule now and call all of the shots. If my babies are sick, I never have to worry about calling in to work or finding someone to care for them. On a daily basis, I get to pick and choose the projects that I work on and how I spend my time. There is no one telling me what to do or how to do it. I get to follow my own passions while helping others at the same time, and what a blessing that is to me to be able to do that! And you know what the craziest part of all of this is to me? That I actually make a decent income while doing this. I sometimes still have “pinch me” moments wondering how it’s even possible to have an online business that I love so much and can even help to financially support my family while doing it! 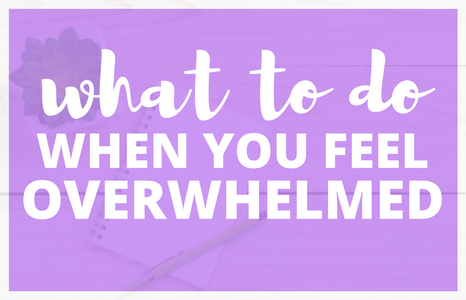 Through my two different business adventures, I’ve learned so much about how to create an online business doing what you love, and now more than ever I truly feel like life is way too short to be miserable at your job. I never thought that I would be someone who would be able to create a business and earn an income just by following my passions, much less do work that brings me so much fulfillment and joy on a daily basis! 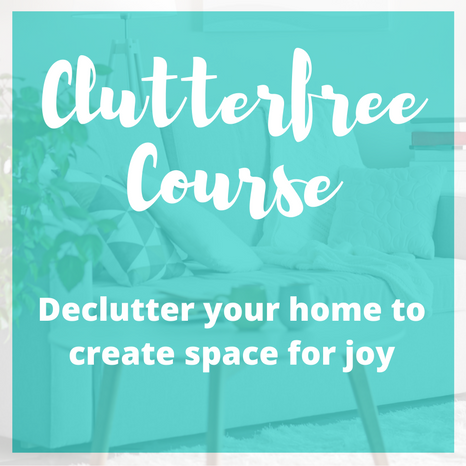 If you are struggling to find enjoyment in the work that you currently do, I want this to be an encouragement to you that you can find happiness in your work. If you have a dream to start your own online business so that you can love what you do and be in charge of your schedule, you are completely capable of making that happen. 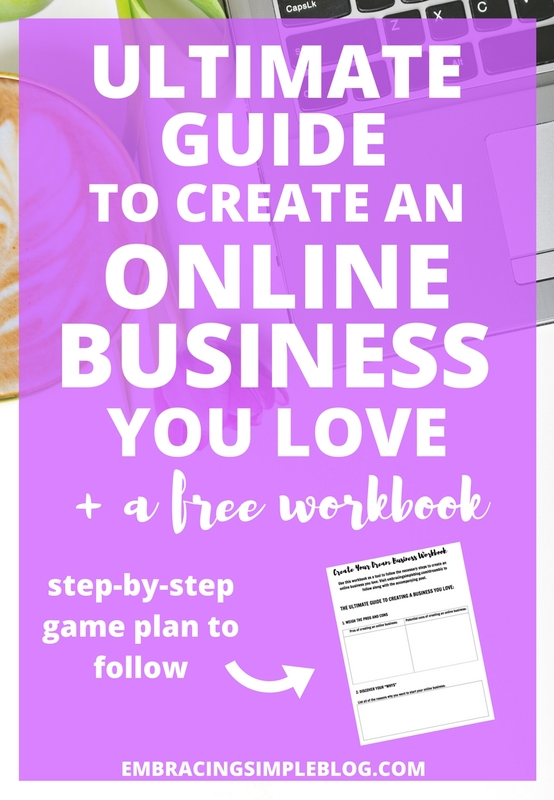 I’m going to walk you through a step-by-step guide on how to create an online business you love and even created a free workbook for you to fill out as you read through this, so be sure to fill out the form below to download and use as you complete these exercises! While I’d love to say that having an online business is all fun and games, that unfortunately isn’t always the case. I personally wouldn’t change having my own business for the world, but I also know that this lifestyle isn’t for everyone. So it’s important to me to make sure I’m being honest about all of the ups and downs that can come with having a business of your own, so that you can truly weigh them for yourself and decide if creating an online business is going to be a good fit for you. 1. You get to do work that you love on a daily basis. You now have the choice to also be selective about what type of work you take on. 2. There is no commute. As someone that was driving approximately 1-2 hours each way to my office job at one point, I can tell you that adding 2-4 hours per day back to my life that aren’t spent in a car is amazing. 4. You have the ability to work as much or as little as your season of life allows. My favorite thing about blogging has been the flexibility it provides me in being able to scale back my work a ton as I need to. If my whole family comes down with a stomach bug and I can’t work for a few days, it’s really not a big deal. I can’t think of any other job that would allow me to do that and not stress about it! 5. You can literally work from anywhere that has wifi. 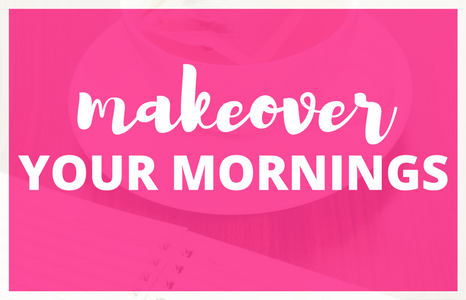 An amazing perk that makes for a lot of flexibility in your daily life! Using Telecoms systems like a Horizon Phone System it will allow you to keep connected with your clients where ever there is wifi, and it will also show your clients you have professional systems in place to keep your business running. Get a Century Internet plan to ensure you have strong internet signal! 6. The work you do has more purpose. Working for yourself and choosing how to contribute your talents to the world can allow you to help others in a way that your office job might not have given you the opportunity to. 7. Incredibly low start-up costs and overhead compared to any other business model. Don’t have thousands of dollars to invest into a new business right now? The good news is that’s no problem! Starting an online business is the least expensive business model I’ve personally come across, which means incredibly low risk. You can literally start your business for as little as $12. 1. You have to spend a decent amount of time in front of a computer screen. While I actually enjoy my time working on my laptop, someone who prefers doing manual labor or working with their hands might not be happy doing this type of work. 2. Income can be unpredictable. Which isn’t always a bad thing! While I’ve certainly had months that I made less than I wanted to, I’ve also had even more months where I was shocked at how much money I ended up making. So an unpredictable income can be both a good and a bad thing. If you are someone that would would lose sleep at night over not knowing exactly how much you are going to make every month, or aren’t self-motivated, starting a business of your own might not be the best path for you to take. If it helps encourage you at all though, I can honestly say that I feel more financially stable in my career now than I ever did in an office job. I am completely in control of how much money I want to make and no one can lay me off or limit the amount of income I have coming in by not giving me the opportunity for a raise. Feeling empowered is a great way to live, my friends! Now that we’ve weighed the pros and cons of creating an online business and you have a better sense of whether this path will be a good fit for you, let’s dive into the process of actually creating your business! It doesn’t necessarily matter what your exact reasons are for wanting to start your online business, but it is important to acknowledge what they are before you begin. Keeping your “whys” at the forefront of everything you do is going to help you stay motivated in your journey and to accomplish all of the business goals you set out to achieve. Just remember that there are no wrong reasons here, so be true to yourself as you’re figuring out what yours are! Your reasons have to be unique to you and your own situation if they are going to be helpful to keep you motivated during this process. A niche is a general area of focus for your business. Choosing a niche makes it easier for you to stay focused and have a clear direction to take your business in, and also for others to understand what the purpose of your business is and how you can help them. For example, I would consider my general niche for Embracing Simple to be “self-development tools for those who want to live an inspired life”. Your niche can be as broad or focused as you’d like for it to be, but usually somewhere in the middle is a good place to land. Fill out this portion of your workbook and don’t censor yourself, be honest about what you truly enjoy doing. This doesn’t mean you need to be an expert, just that you are knowledgeable about a particular topic and have the ability to help people who aren’t as knowledgeable. Take a look at where your passions and skills begin to overlap (what we call the “sweet spot”). Give each area some thought and figure out if there is one in particular that you might like to pursue. After you’ve chosen your niche topic, do some research and see if this topic is something that a good amount of people tend to struggle with. While I wish I could tell you that it’s enough to just follow your passions and do what you love, the reality is that there needs to be somewhat of a demand for what you have to offer. Determine if others have an actual need or desire to learn about your topic. After you’ve chosen your general niche topic, then pick 5-7 more specific topics within your niche to focus on for the biggest impact in your business. You should think of your website as your home online. It’s the place where you host your knowledge and information and direct your audience to. It should be a direct reflection of you and the mission you’re trying to accomplish. Based on your chosen topic, brainstorm some ideas for potential domain names that you think would be a good fit for your website. I recommend coming up with a few options, as it could be possible that your top choice is already be taken. Being willing to slightly change the domain you want can make it easier to find an available one that works for you. For example, I would have preferred embracingsimple.com as my domain, but since that was already taken, I decided to go with embracingsimpleblog.com. Try to be a bit flexible! After you have gathered some ideas of what you’d like your domain name to be, I recommend using GoDaddy’s domain search to easily see what’s available. Simply type in the domain name you want and click “search” to see if it’s available. If your domain name is taken, the search will give you other options below that are similar too which is nice. After you have found an available domain name for your site that you’d like to use, it’s time to choose a host. I use GoDaddy to host my website and honestly couldn’t recommend them more. They have excellent customer service and provide the least expensive hosting services I’ve ever seen, while still offering high quality hosting. 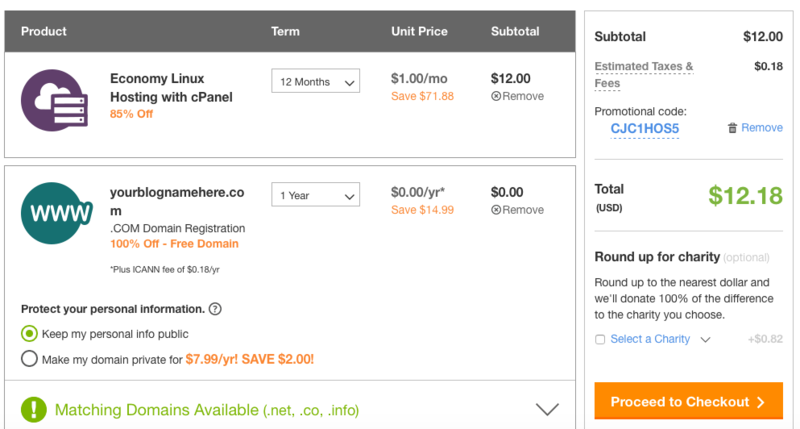 GoDaddy is generously offering their Economy hosting plan for just $1/month for Embracing Simple readers if you use my link and that price includes a free domain, which is pretty incredible. So you can start your website and pay only $12 upfront for your entire first year – how awesome is that?! Click here to start the process. Once you’ve headed over to GoDaddy to start the process, you’re going to come upon the screen below. I recommend just going with the “Economy” package, as that is most likely all you will need to get started. You will then be prompted to choose the domain name you selected earlier in this tutorial. Enter your domain name and hit “Go”. You will then be taken to your shopping cart, which should look similar to the screenshot below. Something to note is the section in the bottom left where it says “protect your personal information”. I personally choose to pay the $7.99 to keep my contact information associated with my domain private, but this is by no means a necessary expense and is something you can choose to purchase later on if you change your mind. It’s just worth mentioning as something you might want to consider adding on. Once you’ve reviewed your shopping cart, click “Proceed to Checkout”. Upon making your purchase, you will receive temporary login credentials to your email inbox. You will need to use these credentials to login to your GoDaddy account and install WordPress. To login, go to GoDaddy.com and click on the “Sign In” button on the top right of the page. WordPress is a content management system that is very popular in the online business and blogging world. 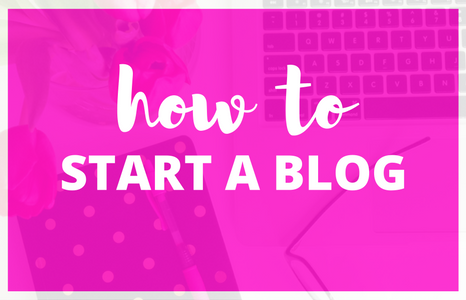 It’s a super simple and easy way to setup and manage your blog. You will need to go into your Account Manager on GoDaddy and click on the button to install WordPress. Voilà – you are on your way to being an official online business owner! Easy, right? Think about what qualities you personally admire about some of your favorite websites. Are they simple and clean? Colorful and energizing? How do you want people to feel when they arrive to your site? Your answer to that question should dictate the type of look and feel you will want your site to have. There are some free themes on WordPress that you can certainly use to design your site, but I personally didn’t like what was available for the look I had in mind for my own website. I did some extensive research and choose to purchase the Genesis framework and the Swank theme. A framework is essentially a “super theme”, and then you can purchase a “child theme” that sits on top of that framework to get the design and layout you desire for your site. So Genesis is my “super theme” and then Swank is my “child theme”. It sounds a lot more complicated than it really is, but there are also plenty of other themes you can choose from within the Genesis framework. This guide is a great free resource to use to learn more about themes and how to install them. Choose a theme that fits the design elements you are looking for in your website! Determine how much time you would like to invest into your business on a weekly basis. Put designed blocks of time into your calendar every week that you will spend working on business-related tasks. Whether that’s 1 hour or 20 hours, find an amount of time that you’re comfortable with and try your best to hold yourself accountable to your schedule. While having an online business has amazing benefits, it does take an investment of time, energy, and a small amount of money to make it successful. You need to research tools you think will help your business grow. 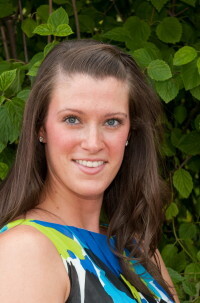 My friend recently used job proposal software for her business and it worked really well! 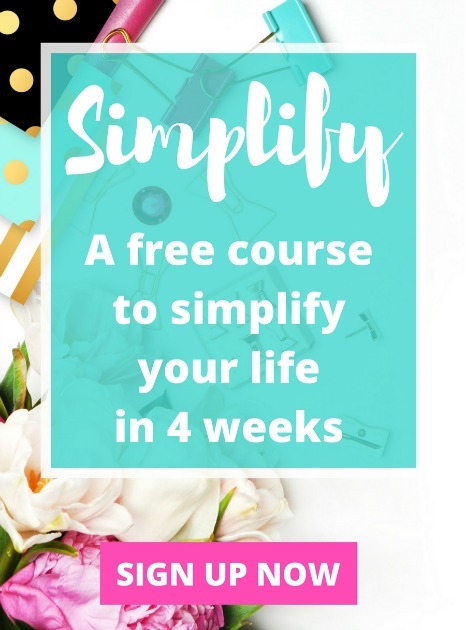 For more time management tips, check out lesson #4 of my free Simplify course. Whether you decide to write blog posts, create videos, or record podcasts, you need to choose a medium that you will utilize to share your ideas and knowledge with the world. Take some time to brainstorm new ideas for blog posts or other materials you might like to create. While this step could potentially be one of the very first things you do when thinking about creating an online business, I’ve found that sometimes it takes actually diving in first to then figure out what your favorite ways to make money will be. I think the focus should always be on quality content and doing work you love that will serve others too, and then worrying about the money later. That’s a recipe for being successful, because being in it only for the profit is likely not going to give you the motivation and drive you’ll need to take your business to the next level. Yes, yes, yes!!! I love everything about this post! Starting my own online business has allowed my family and I to pay off debt, ramp up our savings, and travel more 🙂 It really is a dream come true and I can’t wait for the day that I can replace the income from my full-time job with the income I make from my side biz. Hello & Happy New Year! Just found you as I was perusing some other sites for inspiration.. I’m at the other end of the spectrum. Had my corporate job, was downsized 5 years ago, got 2 in college ( one special needs ~ THAT’S a journey.) but now need purpose and income. Have had a store on Etsy as I love vintage but am tired of being a pink-army-of-one. Now I need to reinvent myself. Where I’m a little stuck now is a name for blog.. Will follow you for inspiration. cheers! Yes, a great read! I am new to this whole thing and I’m PRAYING to make this a full time job!! Patience has to be the HARDEST thing so far. Downloading the workbook. Thanks so much!! This is such helpful information! Being able to do what you love and be your own boss sounds like a dream come true. I think everyone should take the leap to pursue their passion. Oh, dear Christina… Your blog is such an inspiration! Thanks so much for all of the positivity you share! Thank you so much Christina! This information has given me a lot of insight to just keep doing my Spiritual website and blogs, with the best quality content that I can provide to my audience! Plus I have downloaded your dream biz workbook and will put all of my stuff to action! Have a great day! Quick question: you mentioned that you started your freelance writing business before starting your blog – does that mean that you didn’t have a website? How does that work when you’re looking for writing jobs but don’t have a site to refer clients back to?